An aluminium rail is routed into the cabinetry creating a stylish finish. 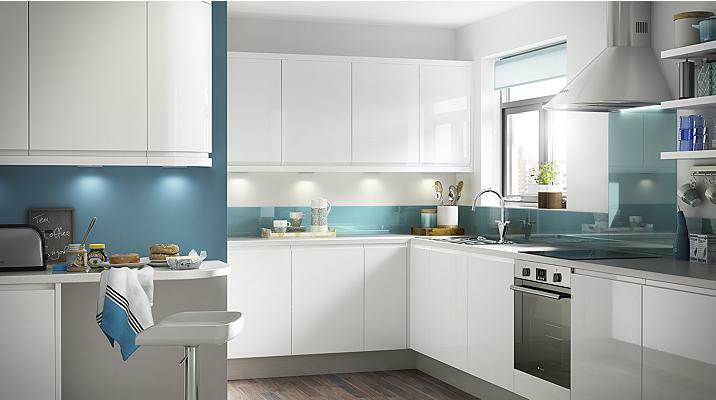 The recessed rail can be returned down the side of a cabinet (returning to the wall) or on the sides of an island, making the worktop appear to float. We do also provide "servo drive" and "tipon" handleless solutions. 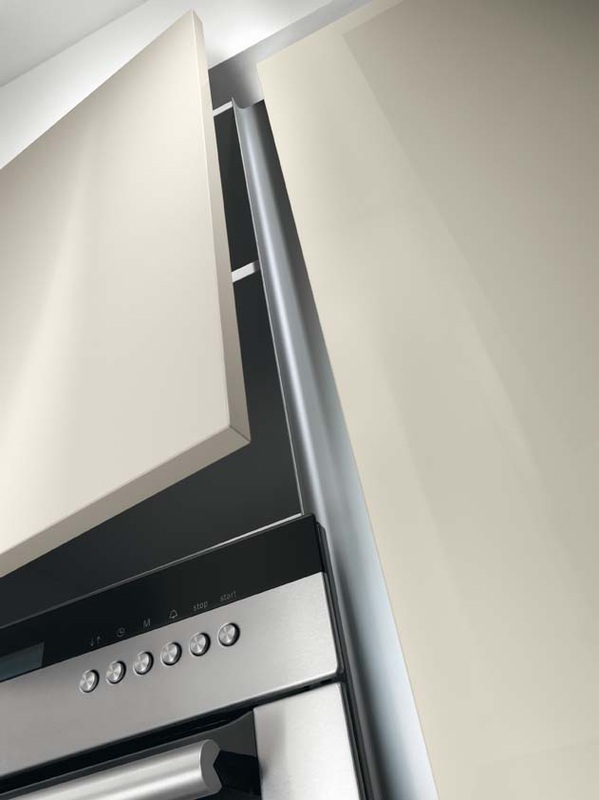 This style of Germanic handleless rail can be found at any higher end kitchen showroom such as Poggenpohl, Bulthaup, Pronorm, Shuller, Alno and Leicht for example.